Going back to the start of this thread, I got to say if I suggested to my wife that we spend our next anniversary on a fishing trip, I might be afraid to sleep at night. I took my wife Wild boar hunting on our Honeymoon. I understand that one can catch them around Miami in the canals. Are there any Floridians ( or Winter Floridians) that can tell us more? I might be seduced into a trip down that way. Well, I have lived here a long time in Palm Beach and Broward county. 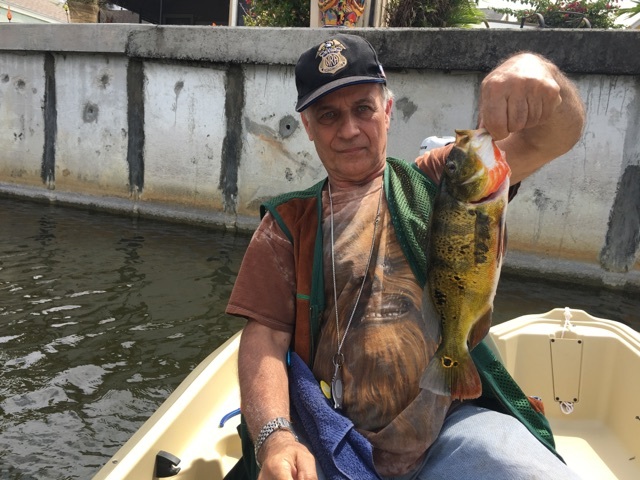 Right now I know for a fact that they are catching peacocks as far north as the West Palm area, I get a lot of them in Delray Beach where my GF lives and south into west central Broward. The peacocks range from 4 to about 6 pounds and are fairly plentiful just about everywhere except land locked lakes that don't get fed be a connecting canal. The further south you go I hear there are more peacocks there are because there was a die back a few years ago, and the Miami area was hit the least as it is 60+ miles south of where I fish. 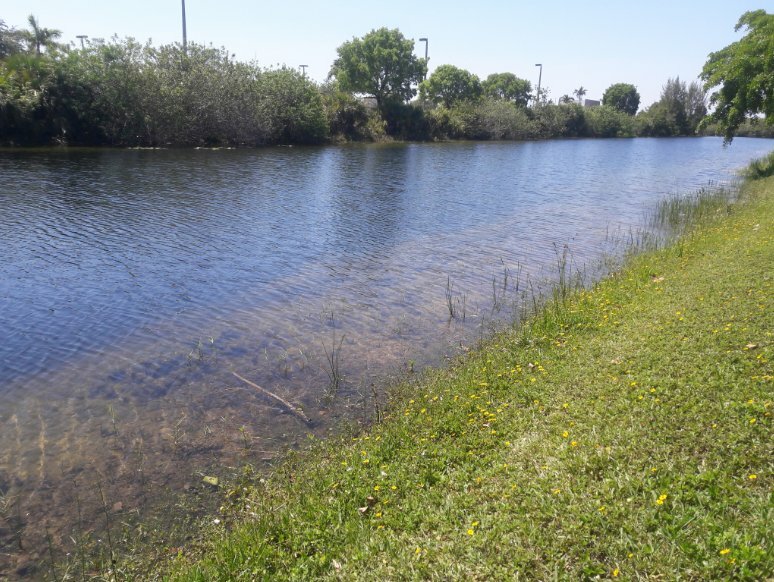 but they are plentiful in the tri county area of Dade, Broward, and up to Central Palm Beach co.
Last week I found a secluded lake with BIG snakehead, LMB, and Peacocks. I can only imagine what it's like being a little fish in THAT lake! Anyway, these are typical catches we get, maybe 8-12 fish each day out. New lake I found, maybe 150 yards long, 50 yards across, totally unbelievable number of fish in it.